We recently completed a job for the home office of Long Life Cardio. 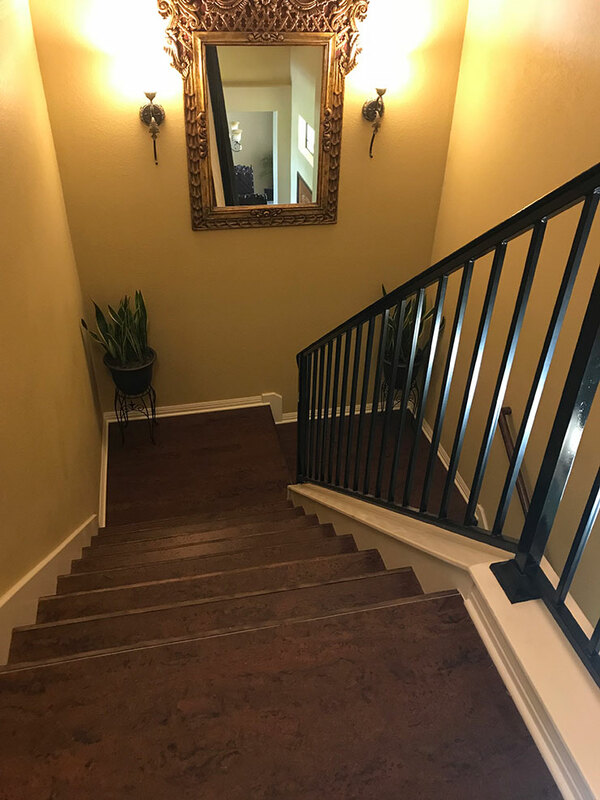 They had hired another handyman who failed the job and had damaged some of the cork flooring and had not been able to make the precision cuts needed to get the stairs looking good. The cork was a high quality composite flooring and the customer contacted us to make sure that the job would be completed and no require them order more materials. We went in to complete the Long Life Cardio office areas and the more difficult stairs. We were able to create cuts exact enough that no quarter-round was needed on the stairs themselves. The pieces just dropped in with a small amount of sealant on each sites. The cork floors came out looking wonderful and the client was very happy with the job. We also re-stained the office deck. Best of all our pricing come in a thousand dollars lower than another contractor who they had obtained a quote from.